After Jean Nouvel turned down invitation for cooperation by Vlado Milunic, Czech author and initiator of the project, Frank Gehry accepted. He nicknamed the project Fred and Ginger. Some interiors of the investor’s offices were designed by Eva Jiricna. 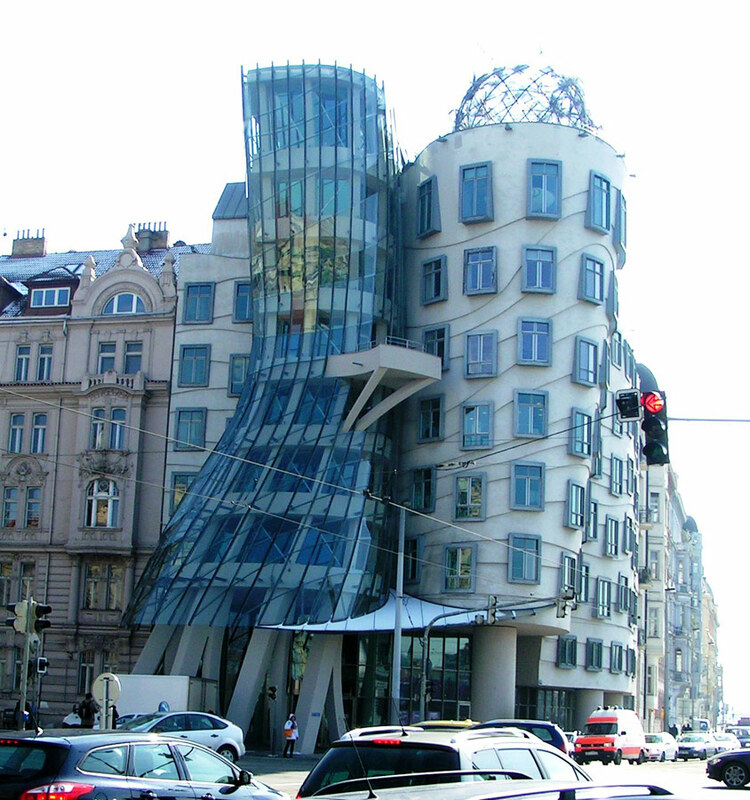 Completed 1996, first very controversial for the Prague citizens, now widely acknowledged piece of art. To the south there is Český Krumlov, Renaissance pearl of South Bohemia, UNESCO historical town reserve since 1992 (172 km). Cesky Krumlov is located on Vltava River meandre, so one may see it from a canoe/raft round trip. Closer to Prague there is Třeboň (140 km), another Renaissance pearl, centre of the UNESCO biospherical reserve (since 1972) – a landscape basin full of ponds of various sizes among the pine forests, ideal for biking, lots of pubs with excellent beer in almost every village.